Clay Zavada pitched for the Arizona Diamondbacks back in 2009. 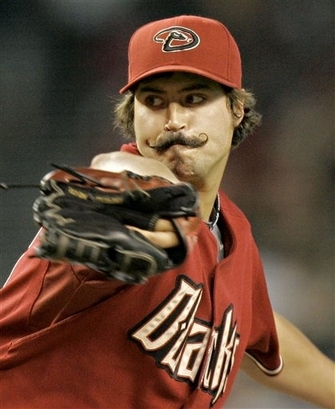 This has to be the best baseball mustache since Rollie Fingers. Steesh, steesh, steesh, steesh, steesh… Google is pretty amazing. This entry was posted in Sports Steesh and tagged Arizona Diamondback, Baseball, Clay Zavada, Humor, MLB, Moustache, mustache, sports on June 1, 2012 by Los Bulls.